Passion is at the heart of every Alfa Romeo. 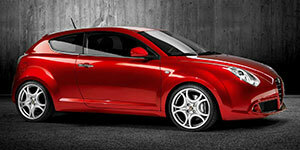 Passion for the car and the passion behind its creation stemming from Alfa’s long and legendary history. There is no mistaking the definitive silhouette of an Alfa Romeo. Like all great loves, the passion can continue with the right amount of care and attention. Your Alfa will love you back if you trust it to our dedicated and passionate team of technicians. Our team know just what to do with your prized possession and our state of the art equipment will talk the talk with your Alfa. Keep the passion alive at Superior Automotive.